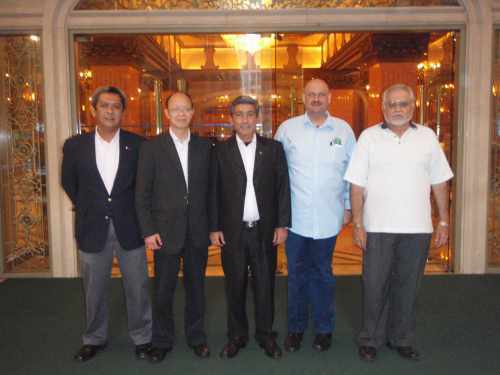 The UAM Management Council successfully held their first official working meeting at the Rio Hotel in Macau (China) on March 14, 2010. The meeting was presided by new UAM President Stephan Carapiet and attended by the other Management Council members namely the 3 newly elected Vice Presidents Mishaal Al Sudairy, Shrikant Kirani and Yan Jianchang. Also present was Antonio B. Hernandez, the newly appointed UAM Secretary.